Turner Suspension Bicycles, Inc. of Murrieta, CA manufactures top-of-the-line, world class Mountain Bikes. 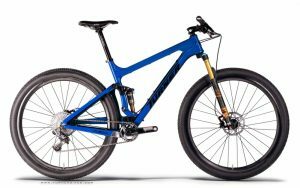 From the birth of the first BURNER All Terrain Bikes (ATB) in 1992, to the current offerings, Turner has strove to make the suspension frame as simple, rigid, and low maintenance as possible. The results are refined geometries and machines built using only the best materials, combined with the highest quality manufacturing. This led to success that put a strain on their product flow and production scheduling system. Under advice of a business consultant who had already set Turner Bikes up with a basic accounting system using QuickBooks Pro, Mr. Votaw downloaded a free trial of Resource Manager for XL, a planning and scheduling system based on Microsoft Excel available from User Solutions, and was able to evaluate the program using their own operational data. After a successful test trial of Resource Manager for Excel, Mike ordered the program and began implementing it. In just a few days, Mike had entered in all the basic shop constraints, such as numbers and types of machines and laborers, shop calendar, materials, vendors, customers, and was able to construct the Bills-Of-Resources that describe what has to be done, in what order, and how long it takes. Mike reports, “Now that we have the full program, its abilities have exceeded our expectations. We have found it to be powerful and relatively easy to learn. For the first time, we now have a handle on our flow of product from projections, to orders, to shipments. 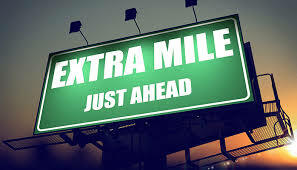 What is especially encouraging is the program’s flexibility to respond to new demands. While it was originally brought in to complement and integrate with QuickBooks Inventory, it turned out that it was just easier to do more in Resource Manager for Excel, including complete inventory control, than to integrate daily between the two products. According to Mr. Votaw, “QuickBooks is a great program if you fit exactly their target user, such as a service provider, but there is no flexibility for manufacturers. We now just use it for invoicing and use Resource Manager for everything else. Throughout this entire project and continuing to today, we are very pleased with the customer support we have received from User Solutions. They have responded quickly and thoroughly to our every request from simple questions to special situations. That kind of personal support, for affordable manufacturing software is refreshing”.